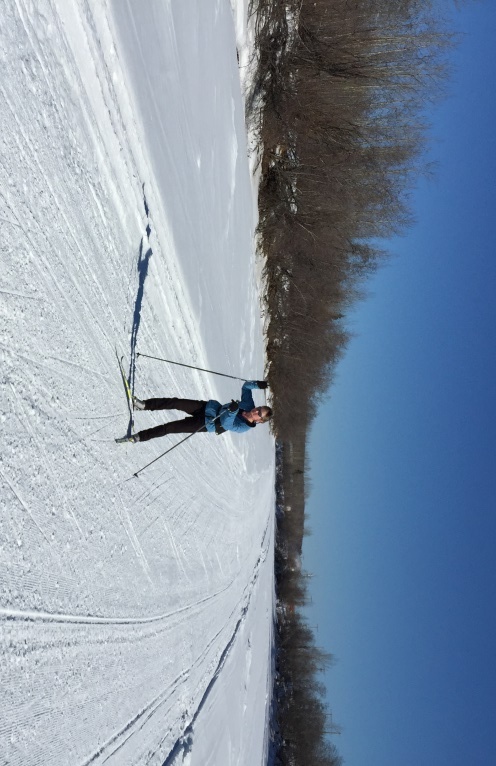 Callie Underwood was out training for the Sonot Kkaazoot in the sunshine and fast snow, how about you? Late registration is 5 to 7 p.m. on Thursday, 26 March 2015 at the Doyon, Ltd. Headquarters (downtown). This entry was posted in Uncategorized and tagged Chena River by Sonot Kkaazoot. Bookmark the permalink.